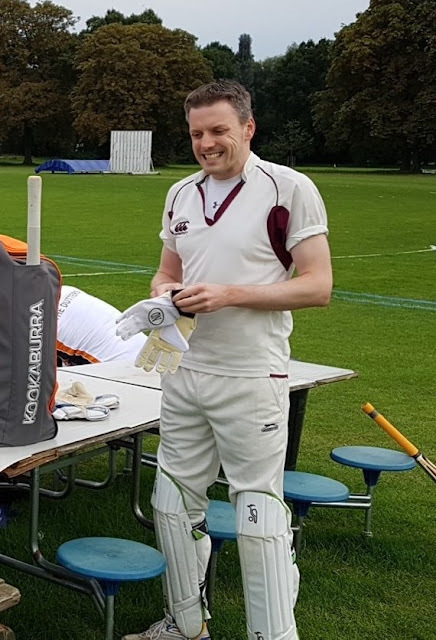 The current Captain of Dodgers, as well as treasurer and bat rehabilitation expert, Ralph is one of the most important members keeping the club going. Deservedly winning the Kim & Jude award in 2018 for outstanding contribution to Dodgers, he still manages to do everything with good humour and in the right spirit. A fully paid-up member of the Dodgers not-so-pacy bowling attack, Ralph is a strong batsman who has frequently got us out of trouble in the past. Most importantly, he scored the winning runs to help Dodgers retain the Ken Block Trophy in 2018 - need we say more?